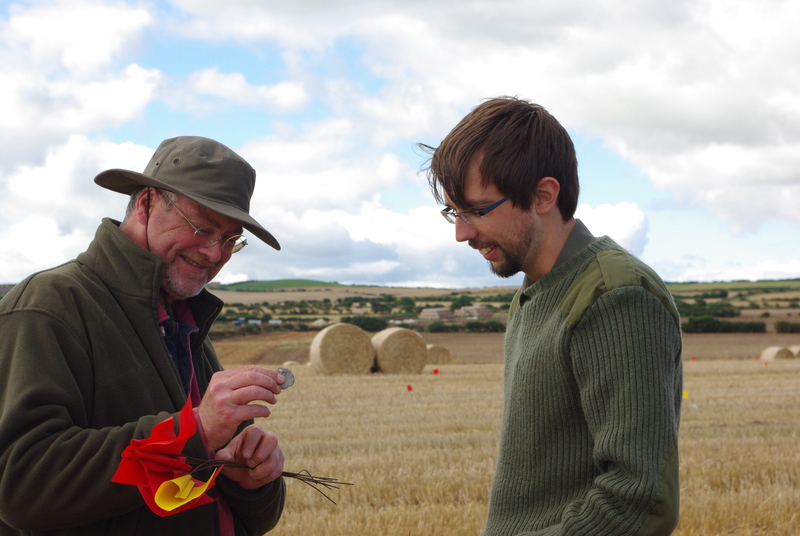 The final phase of the North East Yorkshire Mesolithic Project, funded by English Heritage and directed by Tees Archaeology with the North York Moors National Park Authority, saw a two-week long excavation at Goldsborough, near Whitby. 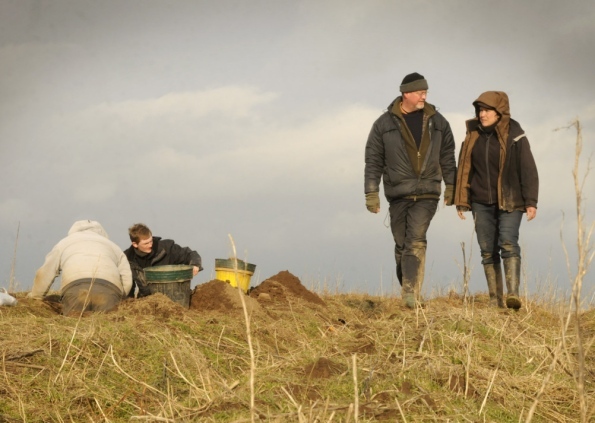 The research project has investigated Mesolithic sites (c. 8000 – 3600 Cal BC) for potential on the high moor watersheds and in the lowland areas like Goldsborough—including sites that might have organic preservation, provide direct palaeo-environmental data (pollen and preserved palaeo-soils), retain features such as stake or post holes, hearths, etc., and yield radiocarbon dating evidence for which there is a complete absence in the whole of north-east Yorkshire. 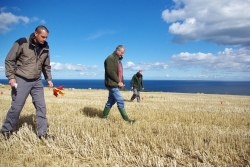 The project aims also included the testing of various archaeological and geophysical survey techniques in the identification and recovery of Mesolithic evidence as well as reviewing assemblages recovered in historical times and through volunteer reconnaissance activities. ◊ Click images to enlarge. 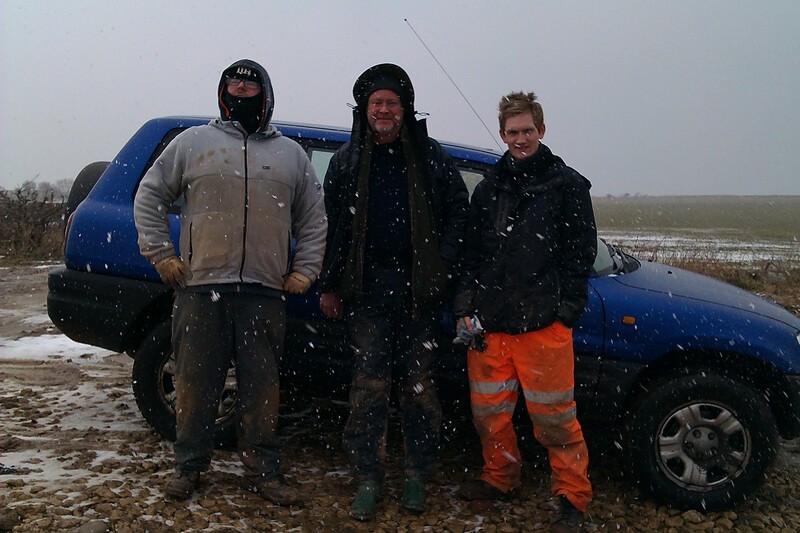 Fieldwork in March is always going to be a somewhat tricky affair. Fieldwork in early March on the Yorkshire coast, on a cliff top, is likely to be rather interesting weather, and it most certainly was! 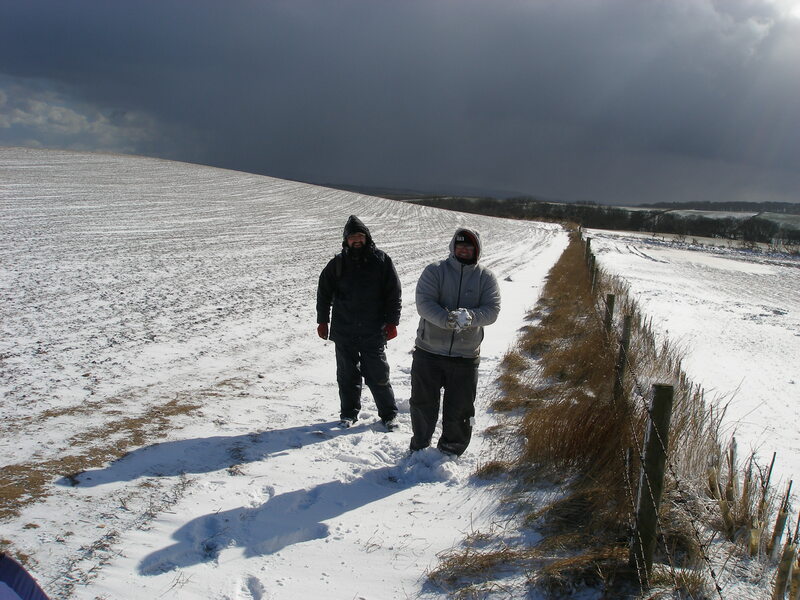 Distant memories of warm (if wet) summer fieldwalking soon evaporated as the snow blizzards and hail rolled in from (apparently) Russia, over huge North Sea waves. Blizzards | Return of the Ice Age? Local enthusiasts had come across flint scatters on ploughed fields close to today’s cliff edge—on one of the most beautiful and tallest coastlines in England. Tens of thousands of flints were recovered, unfortunately without grid plotting*, and so the project aimed to identify clusters, as well as conducting a geophysical magnetometer survey to see if features (such as burning) showed up. *The importance of plotting finds accurately (preferably to the nearest square metre or at least 2x2m grid squares) and seeking professional archaeological guidance cannot be over-estimated. 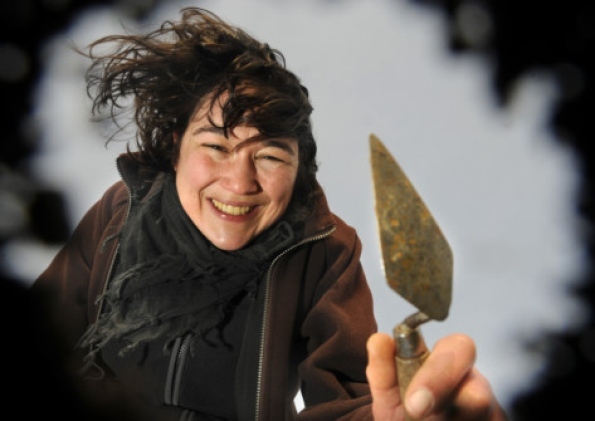 Collecting artefacts, including debitage, even from ploughed fields, removes evidence and cannot be undone. Flints in boxes have little meaning. Our shared ability to reconstruct and interpret past human activities is therefore compromised—forever. Gridded fieldwalking and shovel pits in previous seasons were aimed at pin-pointing specific areas of activity and interest. Flints (and some Whitby Jet) seemed to reflect activity right through the prehistoric period, with a few finely retouched Neolithic and Bronze Age items. All flints were plotted exactly using a GPS Total Station—hugely expensive and amazing devices. The results of this final excavation—over 90 shovel and test pits, and a long trench to test the geofizz “anomalies”—will take time to assess. Tees Archaeology will be cleaning and analysing the finds, and there was at least one charcoal soil sample taken that will need careful specialist scrutiny plus several environmental soil samples to look at. Features included a modest post hole with adjacent “slot” or scoop (not dissimilar to one found in Penny Spikin’s March Hill excavations in the central Pennines). It’s not inconceivable that it’s Mesolithic. There was a test pit, just behind the crest of the ridge, that produced an area of stones and cobbles, and an elliptical lens of charcoal around 20cm in diameter and 3-4cm deep. It seemed to be surrounded by some of the cobbles and there was a flint blade or two and some spalls between the stones. The stones themselves were odd in that they were different to the natural eroded sandstone and not native to the area. While glacial tills (boulder clay) do exist on the coastal margins south of Whitby (their likely source) they are unusual at this elevation and must have been brought to (or at least arranged at) this spot intentionally. Some stones were heavily burnt—or indeed half burnt (stone ‘a’ in the picture) with a clear line showing where the heat had affected only one side—and one metamorphic piece displayed linear “lattice” groove marks. Whilst these could be due to historical plough or agricultural damage, none of the other stones were similarly affected. All will be submitted to a geological specialist for examination. 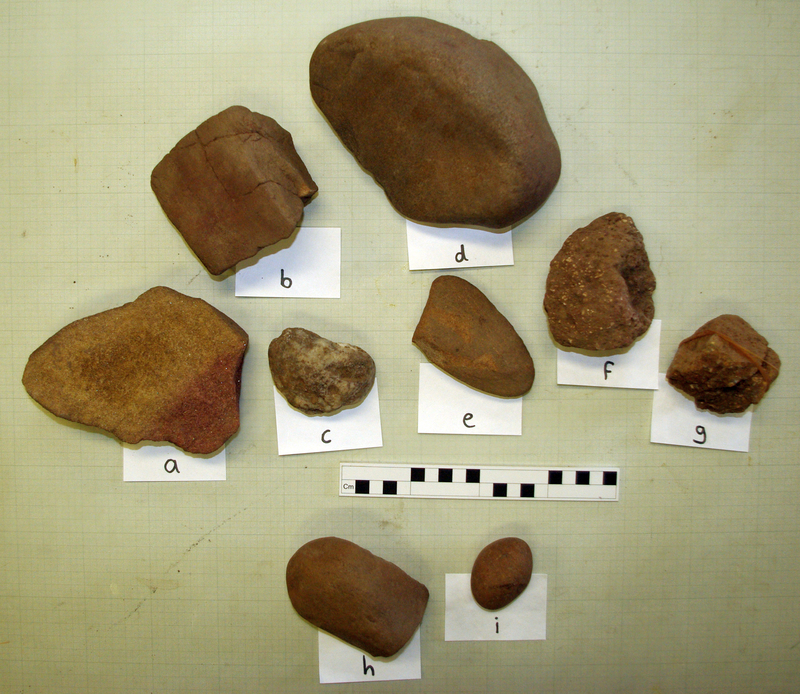 Peter Rowe (Tees Archaeology) will be conducting the lithics analysis of the flint assemblage. Inspection on-site showed at least one “narrow-blade” microlith fragment, some possible microburins, faceted bladelets and blades (some with edge wear from utilisation) and a few small scrapers. 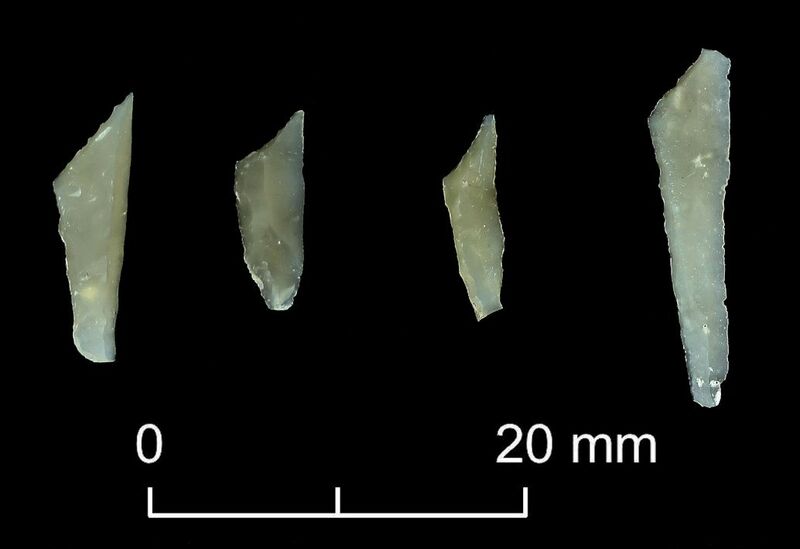 Many are consistent with Late Mesolithic activity, and the microlith (a backed micro-bladelet with some opposed edge retouch, possibly the barb from an arrowhead) is diagnostic. Fieldwalking finds also included bladelet cores of conical form and similar blades, bladelets and scrapers. The soils here are acidic and so bone and shell (calcium-rich) do not survive well, if at all. Even prehistoric pottery (Neolithic onwards), usually poorly fired until the Iron Age, succumbs to the soil conditions, erosion and ploughing. 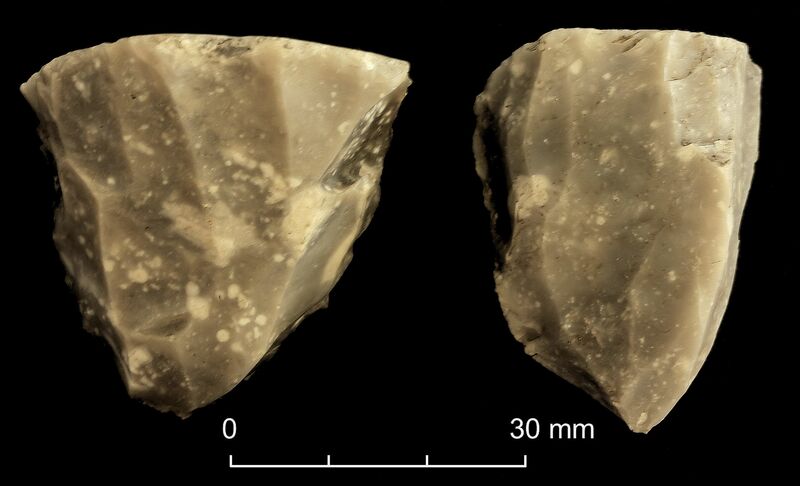 Lithics such as flint are generally all that survive, but their spatial patterning, the presence and absence of certain types, can still tell a story about activities, subsistence (microwear), raw material procurement, mobility and approximate dating. One further test pit also revealed a small “V” section ditch that may be of Iron Age date. The inclement weather (snow and rain) showed a low-lying area away from the flint concentrations that retained water. Could this be the remnants of a palaeo-lake (or more accurately a modestly-sized pond or pool)? Mesolithic people tended to favour sandy well-drained spots close to rivers, streams, springs and open water—not only for ease of movement through a heavily forested environment, and as familiar “handrail” features in the landscape to return to—but also as focal spots (clearings) that would have attracted game and wild fowl and made hunting easier. A similar situation exists on the Eston Hills at the edge of the Tees basin where a modest wetland area and sandy ridges seem to have attracted both early Mesolithic (Deepcar type tools) and later Mesolithic (Narrow-blade geometric microliths) hunter-gatherers. A palaeo-pool also seems to have been the reason for a cluster of campsites at Esklets & Bimshaw, Westerdale, North York Moors. The stone age people, modern humans like ourselves, that we’re searching for in the Goldsborough area could perhaps be called the “first British folk”. This was the time when the rising North Sea finally cut us off from the continent—Denmark, Holland and Belgium—drowning Europe’s “lost country”, Doggerland, and we truly became the British Isles that we know today, around 6400 BC. There was even a tsunami that finished off the job about 6100 BC, sending giant waves down the east coast and wiping out the last remnants of the lowland forests, rivers and marshes. Like everything British, we did things slightly differently after that, and there’s a big change in the stone tools that people used. The Mesolithic—middle stone age—is still over four thousand years before metal tools and two thousand years before the first pottery. The first colonisers after the Ice Age glaciers thawed (north of the River Esk and out to sea), at places like Star Carr (Scarborough), had large and distinctive flint tools and antler harpoons. Once we were cut off from Europe the tools become a bit peculiar and get much smaller—like “plug-in” multi-purpose drill bits that could be used for many different purposes such as arrow barbs, needles, drills and knives. Our ancestors had the best DIY kits, perhaps even better than today! 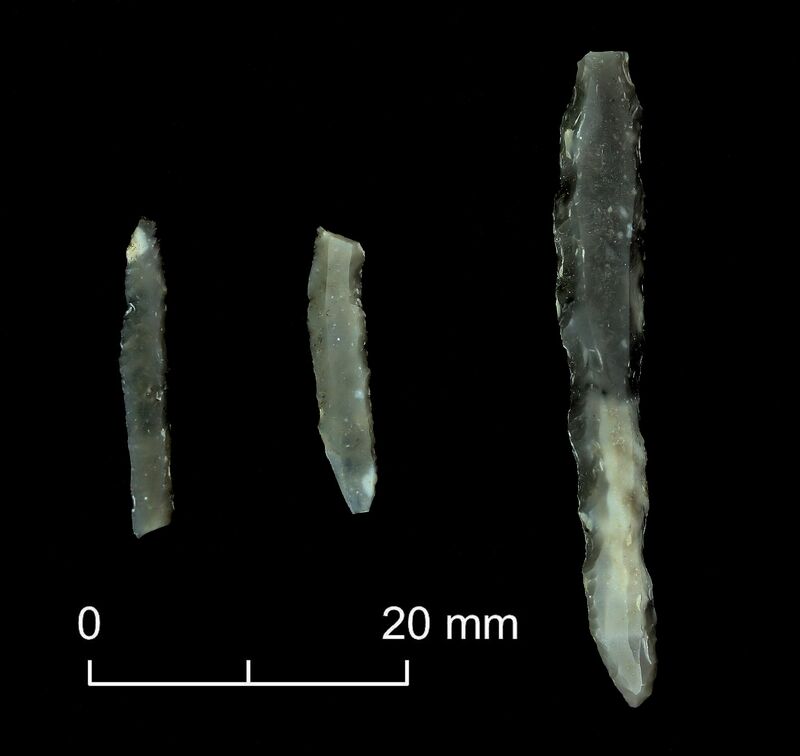 It also looks like these tiny tools, some smaller than a fingernail, begin to appear first in Northern England and Scotland—places like Howick (Northumberland), East Barns and Echline (Firth of Forth) where families seem to have returned to the same places—maybe even settled—over many generations, rebuilding their turf or hide-covered huts several times. Is it the same at Goldsborough? Were these the displaced people from Doggerland, victims of global warming, literally moved from their ancestral territories by ever rising tides—a second wave of settlers? One of the project’s aims is not just to find the evidence for the first “Britons” through their stone tools, but to find charcoal from their fires (and roasted hazelnuts were a particular favourite) that we might be able to radiocarbon date. ◊ Thanks for reading! If you enjoyed this article, why not Like at the end or share on Facebook and Twitter? Adkins, R. and Adkins, L. 2008. The Handbook of British Archaeology (latest edition). Constable. Paul R Preston’s chapter on the Mesolithic is a good concise summary with a chronological overview. Bailey, G. and Spikins, P. (eds) 2008. 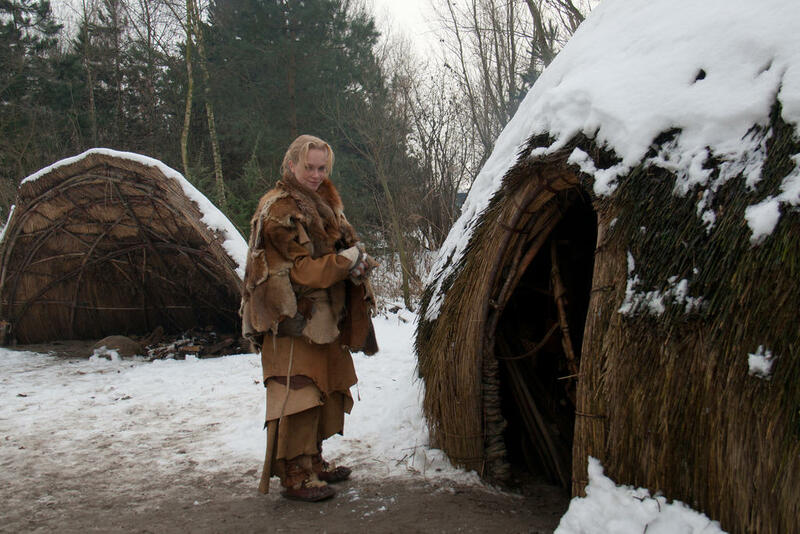 Mesolithic Europe. Cambridge University Press. Britain in context and full of good follow-up reading too. Conneller, C. and Warren, G. 2009 (reprint). Mesolithic Britain and Ireland: New Approaches. The History Press. Good summaries of where we’re at, and some frustrations about shifting the agenda forward to new places. Finlayson, B. 1998. Wild Harvesters: The First People of Scotland. Historic Scotland. A gentle journey through the knowns and unknowns. It looks like Scotland had visitors well before the Mesolithic. Visitors from continental Europe! Smith, C. 1992. Late Stone Age Hunters of the British Isles. London: Routledge. A little dated, but a worthwhile overview of themes and evidence. Waddington, C. (ed.) 2007. Mesolithic Settlement in the North Sea Basin: A Case Study from Howick, North-East England. Oxford: Oxbow. Some challenging suggestions for how we look at the Mesolithic in northern England against previous theories and models. Wickham-Jones, C.R. 2004. Structural Evidence for the Scottish Mesolithic. In A. Saville (ed.) Mesolithic Scotland and Its Neighbours (229-42). Edinburgh: Soc Ant Scot. The volume itself is worth a read. Evidence for structural remains and, perhaps, even semi-permanence versus an entirely nomadic society, is constantly changing. 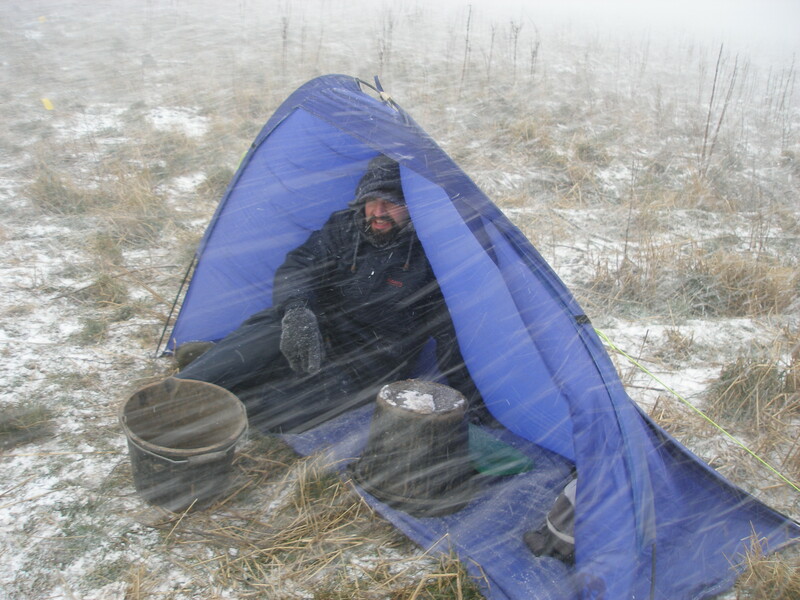 This entry was posted in British archaeology, Digs, Events and activities, Hunter-gatherer-fisher, Mesolithic, Sites and finds and tagged English Heritage, Goldsborough, Mesolithic, North York Moors, Whitby, Yorkshire by Spencer Carter. Bookmark the permalink.